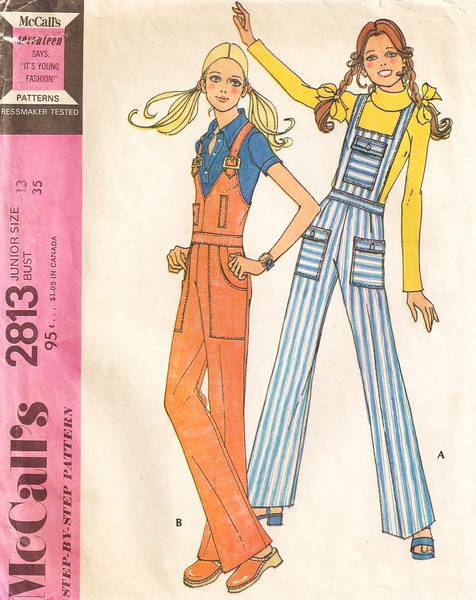 Overalls A (blue stripe) have lined bib, buttoned straps and zipper in back. Pockets are buttoned and flapped. Overalls B (red) have lined pockets and top with buckled straps and back zipper. Junior Size 13, Bust 35, Waist 26, Hip 37.